Supply chain management, rapidly-advancing and growing ever more important in the global business climate, requires an intense understanding of both underlying principles and practical techniques. 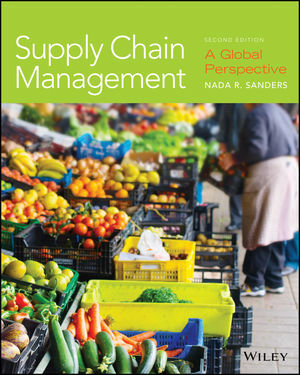 Including both a broad overview of supply chain management and real-world examples of SCM in companies ranging from small to large, this book provides students with both the foundational material required to understand the subject matter and practical tips that demonstrate how the latest techniques are being applied. Spanning functional boundaries, this well-regarded book is now in its second edition and has quickly become a standard course text at many universities. This newest edition continues to provide a balanced, integrative, and business-oriented viewpoint of the material, and deeply explores how SCM is intertwined with other organizational functions. New material has been added to address the importance of big data analytics in SCM, as well as other technological advances such as 3-D printing, cloud computing, machine learning, driverless vehicles, the Internet of Things, RFID, and others.